Today's car engines are designed with more complexity and moving parts than ever before. When you hear abnormal noises there is something wrong. Some high output engines have short skirt pistons or roller valve trains so a minimal amount of ticking is normal when the engine is at idle. Fuel injectors also make a slight clicking noise when the engine is idling as well. These noises are normal and no repair is required. If unexplained noises exist the steps below are the most common causes. Abnormal engine noise is due to excessive clearance between two internal metal parts that should have little to no clearance. This clearance can be due to many things from a broken valve spring to a crankshaft bearing that has failed. The first step is to identify where the engine noise is being generated. With the engine running isolate where the noise is coming from in either the the upper half, lower half, front half or rear half. Listen from above and below the engine as this will help determine where to start looking for the cause of the noise. An engine depends on clean oil to lubricate the internal moving parts. When the oil level is low or dirty it can cause the lifter to malfunction which will allow excess valve train clearance creating a tapping or clicking noise. For example: A valve lifter is responsible for holding valve train clearance to a minimum. In extreme cases it can cause one of the many bearing surfaces to fail causing permanent engine damage. An engine making a slight noise changing the engine oil and filter with the manufacturers recommended weight oil will help. A squeaking noise is generally created by the engine accessories, accessory mounts, serpentine belt or drive pulleys. When an accessory such as the water pump, alternator, power steering pump, serpentine belt, serpentine belt tensioner or idler pulley has failed it can make a rattling, squeaking or tapping noise. These sounds are centrally located near the front of the engine. With the engine off check the tension of the serpentine belt. It should be at medium tension. A loose or worn belt can make a loud squealing or chirping noise. Check the belt tensioner and the size of the belt to make sure the right belt is installed. 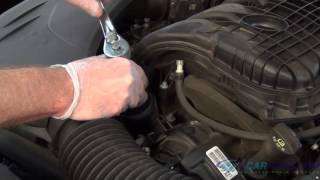 To isolate the origin of the noise remove the serpentine belt and start the engine to see if the noise is still there. If the sound disappears one of the above items has failed. With a flashlight inspect the brackets and pulleys that connect the alternator, air conditioner compressor, power steering pump, and alternator. Look for signs of rust (reddish powder). This indicates a broken or loose metal part rubbing together which can generate squeaks and ticking noises. If the brackets look okay rotate each accessory pulley by hand and check for hard spots indicating a seized bearing. Some engines are manufactured with a timing belt. This belt is kept under tension by the belt tensioner. The belt tensioner is constructed with a bearing that can sometimes fail creating a squeaking or chirping sound. Also, when this tensioner or timing belt starts to fail it can cause the timing belt to be misaligned. 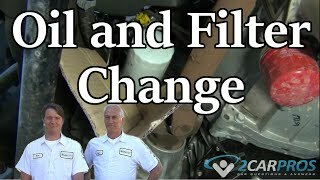 This condition will cause the timing belt to shred producing ticking or scraping noise inside the timing belt cover while the engine is running. If a tapping or ticking noise is coming from the upper half of the engine remove the valve covers. This condition is sometimes accompanied by an engine misfire. Each valve utilizes a spring that returns it to its original closed position. If a valve spring has broken or a camshaft lobe is worn down it will cause the engine to create a tapping or clicking sound due to the excess clearance. To test for this condition disable the ignition system or fuel pump by removing the system fuse. Have a helper crank the engine over while watching the rocker arms or cam lobes making sure all valves are traveling the same amount. If one or more lobes are traveling less than the others the engine has a flattened cam lob and the camshaft needs to be replaced or the hydraulic lifter/follower has collapsed and will also need to be replaced. Look for broken springs using a flashlight and a small mirror. If a broken valve spring is discovered replacement is required to correct the problem. When checking valve springs compare the retainers in the closed position they should be exactly the same height. If one valve is higher or lower something is wrong with the cylinder head, valve or valve seat and removal is required. If a lighter knocking noise seems to be generated from the middle part of the engine it could be generated due to excessive carbon build up on top of the piston. This carbon is a natural byproduct of the combustion process which builds up on top of the piston is some cases. This knocking noise is created when carbon is compressed between the piston and the cylinder head. To repair this problem the cylinder head needs to be removed or the engine needs to be subjected to a de-carbon process which can be done by pouring a steady stream of water down the intake of a hot engine at about 3,000 PRM. This will break up the carob and allow it to pass through the engine's exhaust. A flex plate is used in automatic transmission applications and is used to connect power form the engine to the torque converter of the transmission. When a flex plate fails it usually cracks at the crankshaft mounting bolts. This will make little to no noise at idle and make more noise depending on how much load the engine is under. As more engine power is applied the louder the noise will become. To check for this condition remove the flywheel inspection plate or cover. Use a small flashlight and mirror check for signs of rust dust near or around the bolts. Rust dust indicates a break or crack. It's these cracks flexing back and forth that generate the ticking noise. Replacing the flex-plate requires removing the transmission. The IAC motor (idle air control) controls idle air to the engine. When an IAC motor fails it creates a loud humming sound when it fails. This is a common problem with Ford engines meaning the idle air control motor needs to be replaced. 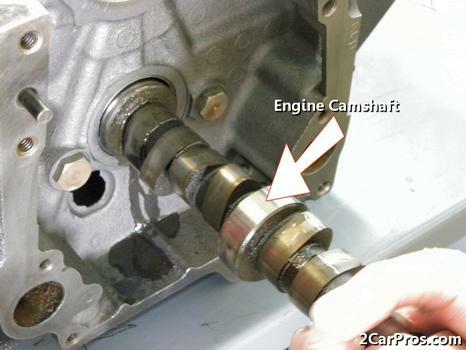 When there is a deep knocking noise coming from within the engine toward the bottom it means there is a broken piston, seized wrist pin, rod bearing or crankshaft bearing that has worn or gone bad. To fix this problem the engine must be disassembled and repaired. If you have any engine noise questions please visit our forum. If you need car repair advice, please ask our community of mechanics is happy to help you and it is always 100% free.